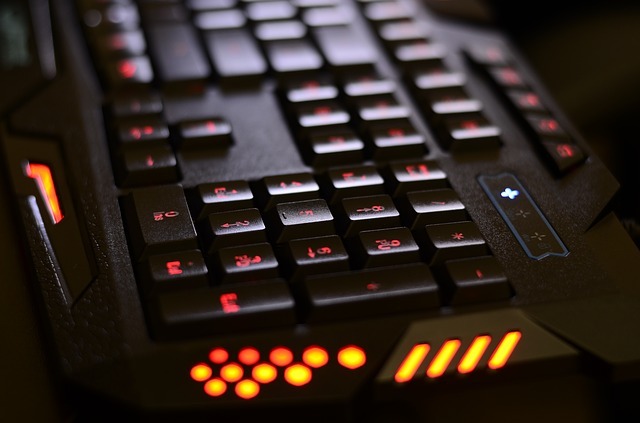 If PC gaming is a serious hobby for you, then a standard office keyboard isn’t going to help you get to the top.This is especially important if you’re involved in the competitive e-sports life, quality equipment can help keep you at the top of your leaderboard. But honestly, what makes a gaming keyboard the best? There are types of keyboards in this case: mechanical switch or non-mechanical switch keyboards. The market for gaming keyboards has changed severely over the last few years. You will notice that some companies have leaned toward providing more sophisticated, and others are keeping it basic. There has also been an increase in proprietary switched in some companies. Here are some of the top gaming keyboards on the market right now. K95 Platinum has a jumpy Cherry MX Speed switch. This switch features a 1.2mm actuation point, which is shorter than a usual Cherry MX switches. It is matched with a 45g actuation force and a linear travel for low resistance. The Cherry MX Speed is the top fastest and most responsive switches that has recently been tested. If you are looking to also be able to type on this keyboard, this may not be suitable considering a tactile switch is preferred for this task. It has a dedicated media controls and a USB can pass-through. With a metal volume wheel and RGB lighting, this keyboard even comes with an extra set of textured keycaps for the WASD keys. This keyboard comes in Cherry MX Red, Blue, and Brown. If you do select the Cherry MX Blue, it is known for its high-ranking tactile response and noteable clicky actuation. The click on the keyboard is loud, which can make this pick a hit or miss for some. Though, some may find the sound productive, others will find it a distraction. The keys are made with the most used plastic for keyboards. The specific caps and angled so it can make the ergonomics better when you are gaming. Though this company usually has flashy designs, the laser keyprints are conservative. The Ripjaws KM780 is decked out with tons of extra features. Aside from the section of macro keys — which is convenient — there is also media controls and the bungee mouse that is installed. Compared to other tenkeyless keyboards, this keyboards price is right for the category it is in. There is a number pad that is useful for those who will use this keyboard for other purposes than just gaming. There is also a blue backlighting feature that can be lost in the cheaper keyboards. There are tons of keyboards out there, you just have to find out exactly what you’re looking for and there will be a keyboard out there for you.